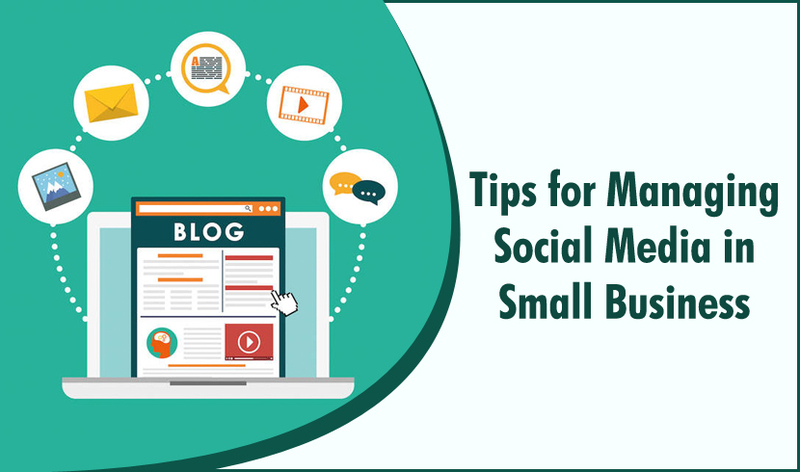 Social media is one of the powerful mediums to connect your businesses to their respective audience or people. With millions of people using social media, it's become one of the best ways to engage with your audience. Companies have already started making their loyal customers from social media. With so many tools it's now become easy for advertisers to understand the audience behavior and the same works with small businesses too. Make A Social Media Plan: first and foremost thing is to make a social media strategy and be clear in your objectives. Plan out a social media strategy for posts and content to make your goals clear to your audience. Select The Right Platform: selection of the right platform is very crucial for the successful social media for small businesses. Try to aim at those platforms which have a large audience base. Understand Your Audience: make use of third-party tools to understand your audience through social media analytics you must know about their demographics, interests, and behavior. Build Relationships: talk and communicate directly to your fans and followers by this way you can build trust among your target audience which keeps them engaged with your brand forever. You can also utilize Facebook groups for that too. Share Compelling Images: Make sure that whatever images you share should be very compelling and attractive enough to engage with the audience. Attractive images play a key role in attracting engagements and reach. Plan Out A Content Calendar: Make a prominent content strategy for the posts plan out a content calendar accordingly with creative taglines and slogans. Focus More On Quality Over Quantity: focus on quality content and creatives to win the battle from your competitors apart from general images try to use gifs and videos to maximize engagements. Post At Correct Time: posting at the correct time is very essential research a particular time where your audience is more likely to be active and use scheduling tools to post at that particular time. Tracking & Reporting: after you have implemented and started to work on the strategy now start tracking the progress of your work and implement the changes as per the result.